What is the difference between Relay and Transistor outputs? PLC transistor output response is fast, can be used for high-speed output, but control solenoid valve or need to add intermediate relay; relay output response is slow, but can save external relay, simple wiring. What output should be chosen depends on the load. Transistors are mainly used for position control, and they need to send pulses through the output of crystals. And the relay can not use the pulse, nor can it control it. 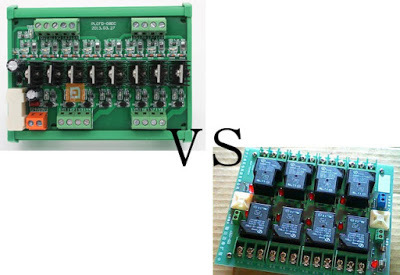 If the relay is used to control the positioning servo or step, then the positioning module is added, which is not economical. The output of one transistor can control servo and so on. That’s all. This entry was posted in plc program and tagged difference between relay output and transistor output in plc, plc output types, relay output vs digital output, relay vs transistor, what is relay output in plc on September 26, 2018 by arco.